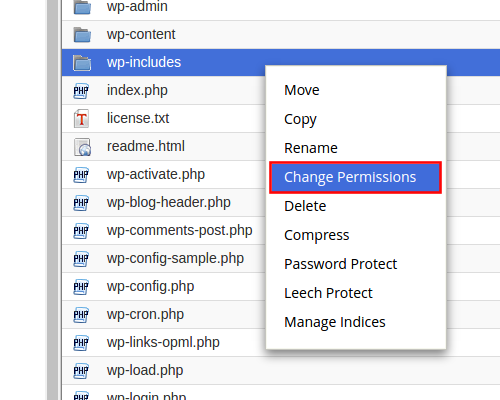 In this tutorial, we will show you how to change file permissions in cPanel. Each file and directory (folder) in your account has permissions which control who can read, write and execute that file. When files are created, default permissions are assigned. Most users won't need to change permissions, but there are times when an update, installation, etc. will require a file permissions change. 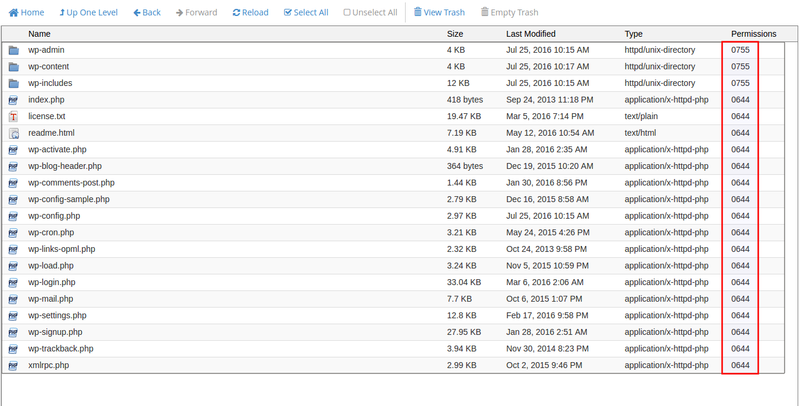 File permissions can be viewed and changed through either the cPanel File Manager or most FTP programs. We also have a helpful guide on how to change file permissions via SSH. Click the File Manager link in the Files section. Incorrect file permissions can cause errors or even worse, allow unauthorized users to hack your site. Once an unauthorized user gains access, they can further alter more of your file permissions to make a site even more vulnerable. Remember that 777 permissions means that your file is readable, writeable and executable by the "world". This is not common, as it is a rare situation where a file needs to be written and executed by the "world." If you find files or folders with permissions that do not match the default permissons, it's usually best to change them to the above recommended permissions. In the File Manager select the file you want to change the permissions for, then click the Permissions link on the top. 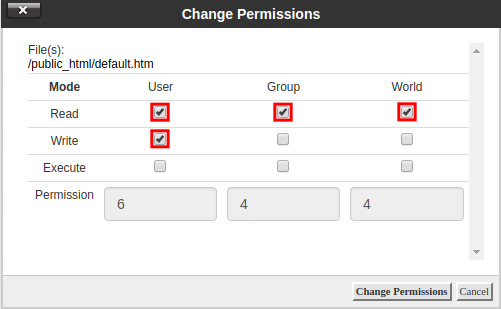 You can also right-click and select Change Permissions from the list. 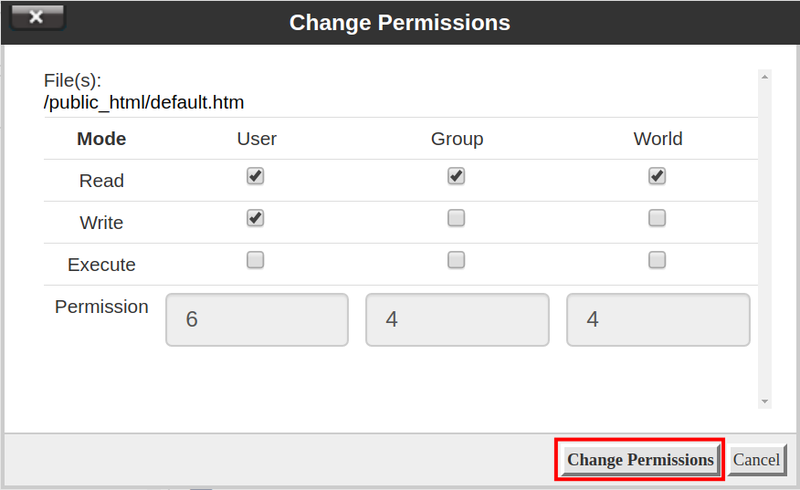 This will bring up the Change Permissions window. Adjust the settings as needed by checking the box by each permission you want for each level of access (User, Group and World). Once you are finished editing your file permissions click the Change Permissions button. Congratulations, now you know how to change your file permissions in cPanel!